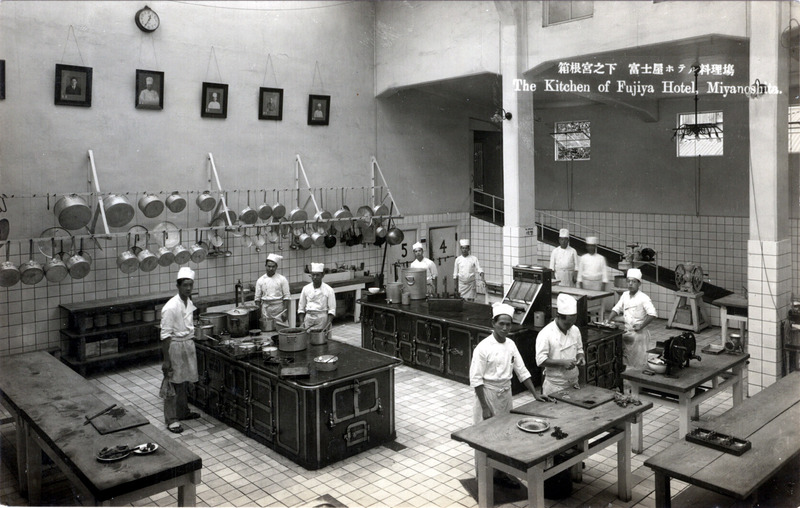 Kitchen, Miyanoshita Fuijya Hotel, c. 1930. “The finest and most scientific kitchen I have seen anywhere in the hotel world was in the Fujiya Hotel. The proprietor, Mr. Yamaguchi, understands the international stomach as no other innkeeper I met in Japan and I spent a couple of hours in his kitchen.